Versatile looks and style can be yours wearing the Vince® Rib Trim V-Neck Sweater. Trim 1: 62% rayon, 35% nylon, 3% spandex. Trim 2: 79% rayon, 21% nylon. 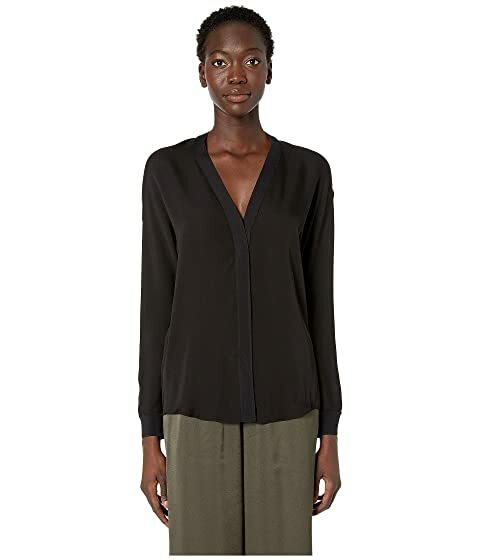 We can't currently find any similar items for the Rib Trim Silk V-Neck by Vince. Sorry!